The world’s largest social network has launched a new self-serve advertising feature called partner categories, which enables users to better target the audiences that their advertisements reach. According to the Facebook blog post, partner categories allow advertisers to show ads to people on Facebook based on the products they buy and brands they purchase from across both desktop and mobile devices. It is important to note that partner categories works with other Facebook targeting options, which enables advertisers to further refine their campaigns to target the correct people. 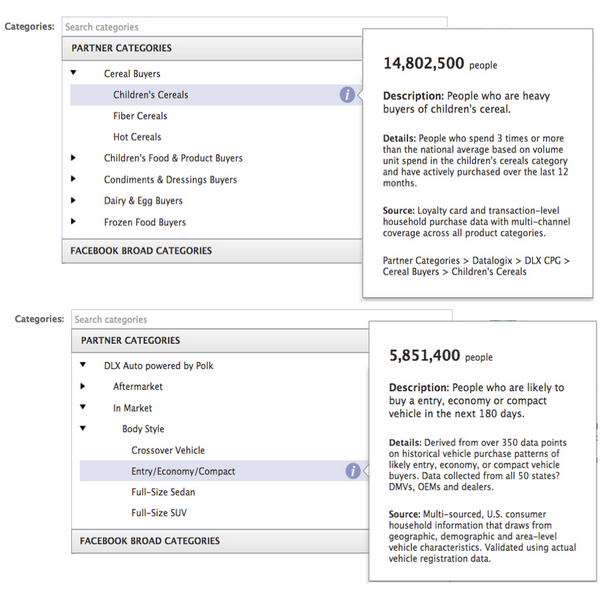 Currently, partner categories includes more than 500 unique groups, and Facebook says that the feature is now available to US advertisers in Power Editor and through the API.